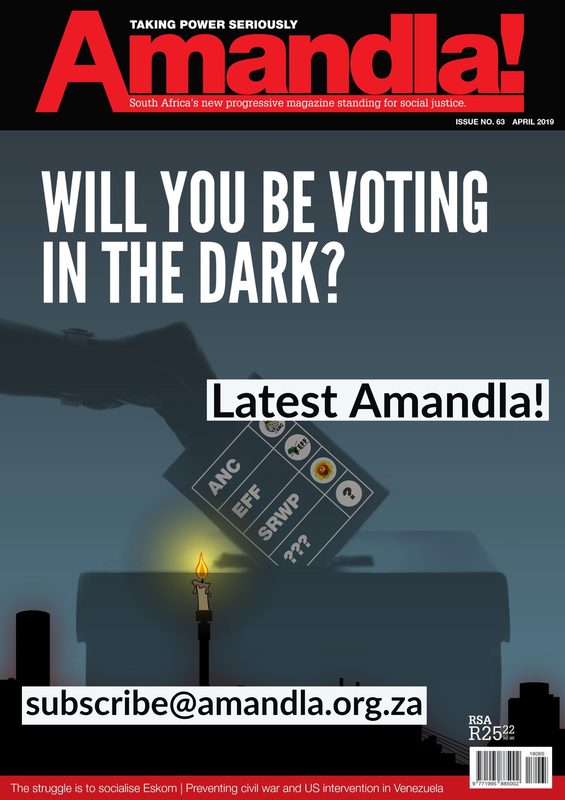 Join us next week Wednesday (24 August 2016) at the Alternative Information and Development Centre (AIDC) as we host the next session of the Amandla forums. This forum will open up a discussion over agrarian reform in South Africa and what needs to be done. Lubabalo Ntsholo: works as a Researcher for the EFF in the National Assembly. 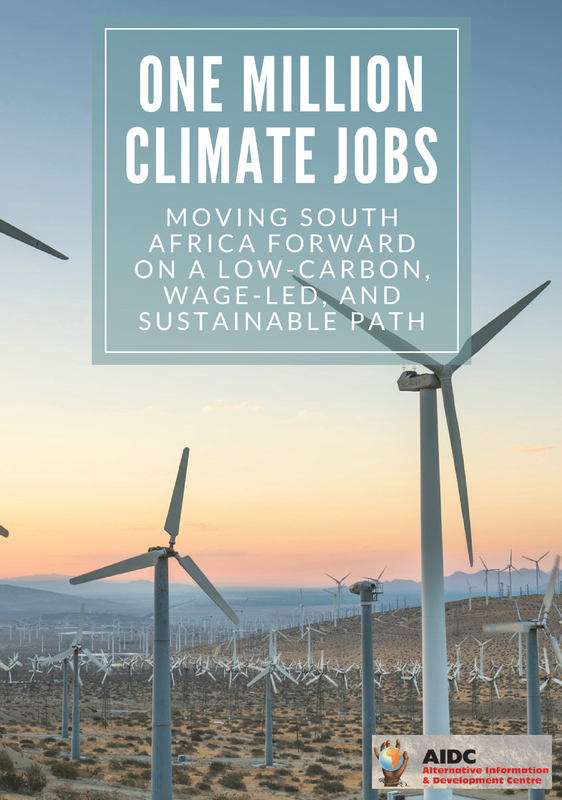 He previously worked as a strategist and project coordinator in both the land reform and biodiversity conservation sectors. He holds a masters degree in development studies from UCT, and a second masters in land and agrarian studies from UWC. 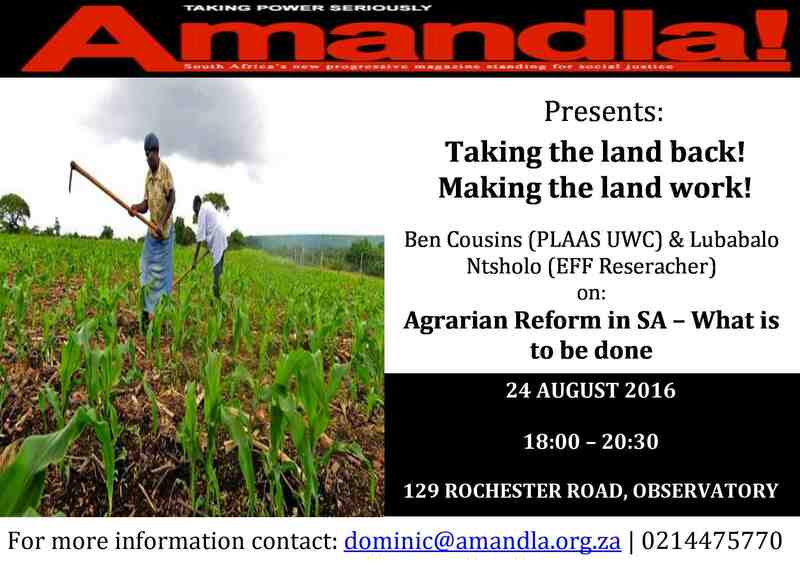 24 August, the Amandla Forum will look at the question of agrarian reform in South Africa. Moving beyond the land question, it will look at what do we do with the land once we have it. 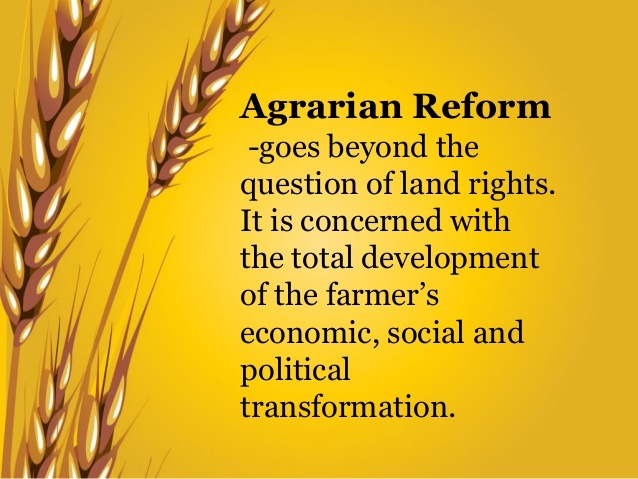 Agrarian reform does indeed go beyond the land question. This does not mean that the land question has been addressed. Addressing the issue of the land is of high priority and is the imperative. But in doing so, we need to develop an approach to how we will use the land to ensure that all peoples needs are satisfied, including those of generations to come.